For many people, data backup and disaster recovery is not an aspect of business at the forefront of their daily routine, but it’s a critical function every business needs to implement in order to prevent massive data and productivity loss down the road. We now live in a world where we are heavily reliant on data. Imagine what would happen if your network went down for days (or weeks) and you couldn’t access your client database, financial records – or any file the company has ever compiled or produced. Could the business still function? How quickly could you recover – if at all? If you do have a data backup solution in place, are you 100% confident you can restore the data? For that matter, how do you know your backup is complete? Did you know: 60% of backups are incomplete and 50% of restores fail? Between viruses, hackers, natural disasters and hardware failure, it’s not a matter of IF you will have a problem, but WHEN. With the rising number of threats companies are facing today, you are literally playing Russian roulette with your business if you don’t have a solid disaster recovery plan in place. 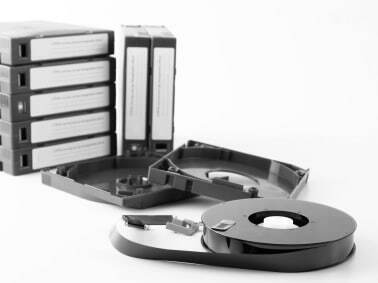 Many businesses assume a tape is an adequate form of data backup. But did you know that ALL tape backups fail at some point in time? That’s right, this popular backup method has an average 100% failure rate. For starters, it is very common for tape drives to malfunction without a single warning sign, making it impossible to recover your data. If the tape becomes corrupted due to mishandling, accidental formatting, heat or if a virus destroys the data on a tape drive, your data will be lost for good. Some aggressive viruses corrupt not only the data, but prevent anyone from accessing the data on the drive, so for this reason, (among many others), it’s important to have a solid disaster recovery plan in place for your business. Remote backups, otherwise known as managed backups or offsite backups, allow you to maintain a safe, secure copy of your data in a location other than your office. Similar to tape backups, a comprehensive disaster recovery plan involves assessing the type of data you want to protect and identifying must-have necessities such as how quickly you need to be up and running. Ontech Systems can help you create a custom-tailored data recovery solution and disaster recovery plan that meets and often exceeds your expectations. Don’t wait until it’s too late to recover your data. 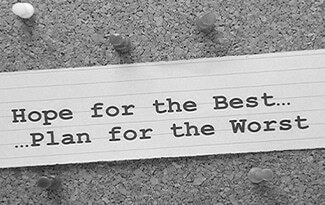 Disaster Recovery Solutions: Where to Begin? Although there are a number of factors to consider before deciding which disaster recovery solution is right for your Greater Milwaukee business, remote backups are among the best way to protect your data and guarantee you can restore it after a major disaster strikes. Call (262) 522-8560 today and have peace of mind knowing your network is monitored 24/7, your data is secure and if/when the inevitable disaster strikes, help is just a phone call away. If Ontech is monitoring your network, we’re aware of the issue – and we’re on it – before you even pick up the phone. For an audit of your current network, infrastructure, server(s), PC’s, backup, security performance, reliability and a Q&A session with our Network Consultant, register for a Free Network Discovery or call (262) 522-8560. Ontech Systems can serve as your dedicated IT company or work in tandem with your in-house IT staff.